Apple is still unrivalled at how easily you can bring devices in to a Genius Bar and have them repaired. Yet it’s hard enough getting one Genius Bar appointment so make sure you cut down the risk of having to book a second. Prepare your devices and take a few steps before you head into the Apple Store and you’ll make the whole process go as quickly and painlessly as possible. Nothing will prepare you if the answer to your issue turns out to be an expensive repair. However, at least you will be able to hand over your device and know that you have all of your data safe. You’ll be able to know that even if Apple ends up completely replacing the device, you’ll be back up and working quickly. 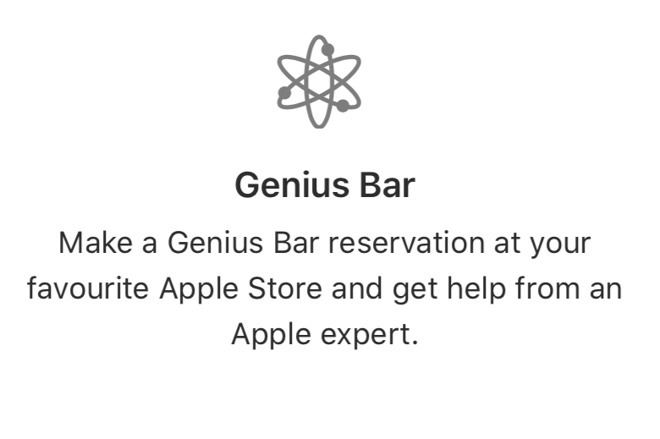 You do have to go through a lot of steps before you can book a Genius Bar appointment. Some of what you should do varies depending on whether it’s a Mac, an iOS device or an Apple Watch that you’re having trouble with. However, several steps are the same. Regardless of what device you have, make sure you know your Apple ID before you head to the store. That does mean knowing the password but also the email address. This sounds obvious but if you’re a longtime Apple user then you are likely to have several Apple IDs and we have spent a confused few minutes entering the right password for the wrong ID before. Plus your Mac will have a different login password to your Apple ID and your iOS device will have a passcode. So get all of these ready. You may not know until you talk to the Genius whether the problem is something they can fix right in front of you or whether it’s going to take some time. If you have to leave the device with them, they will absolutely require the passwords to log in to it. Previous story How much data does YouTube actually use?